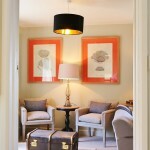 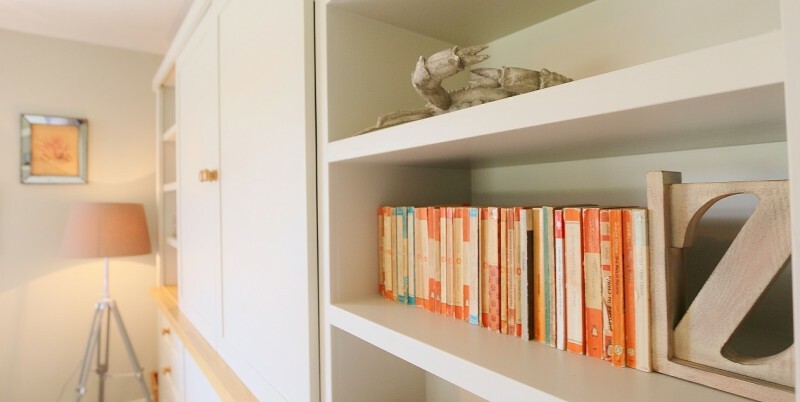 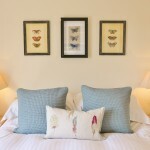 North Down House sits in the most enviable position imaginable on the North Norfolk Coast. 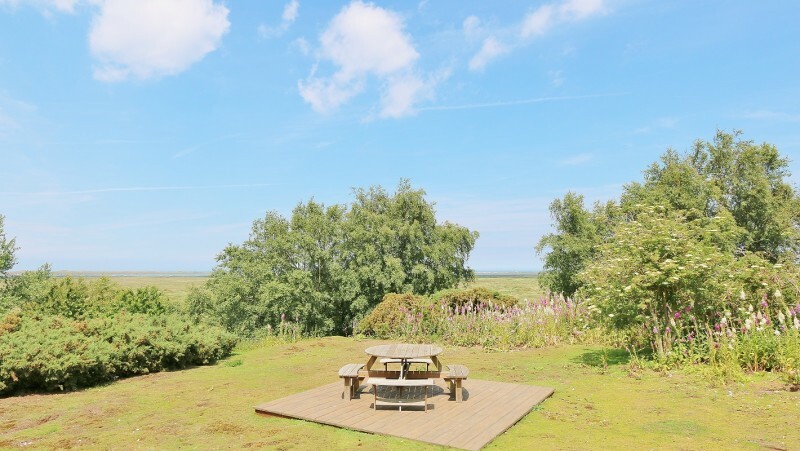 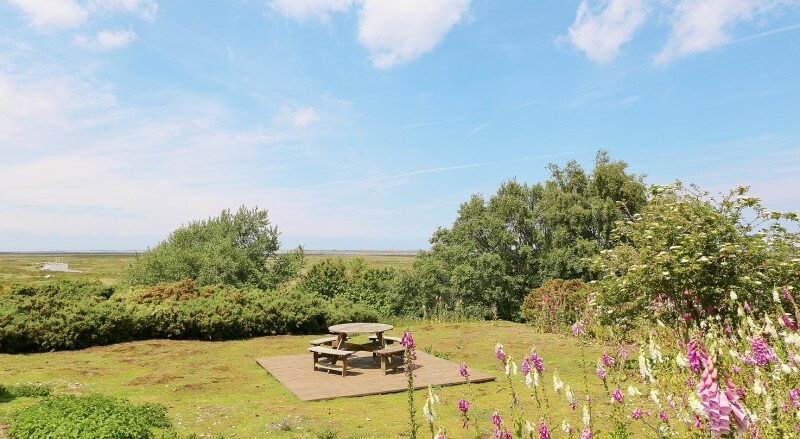 With panoramic views stretching as far as the eye can see across the salt marsh and its numerous creeks, Blakeney Point and out to Sea this property has direct access to the coastal path from its perch up on its own private area of wild heathland garden that is shared by a sizeable population of bunny rabbits! 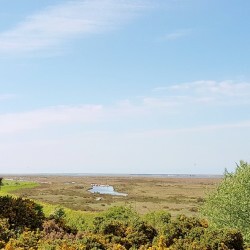 North Down House is nestled in a quiet spot down an unmade track halfway between Blakeney and Morston with their pubs, restaurants and shops. 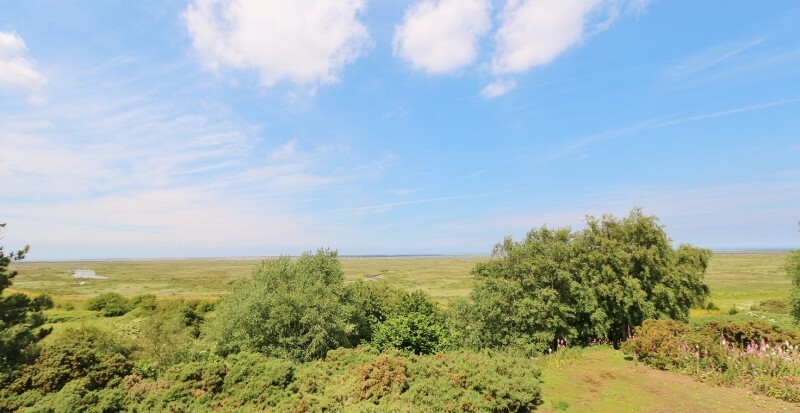 Both villages can be reached in 10 minutes by foot via the coastal path Blakeney to the east and Morston to the west. 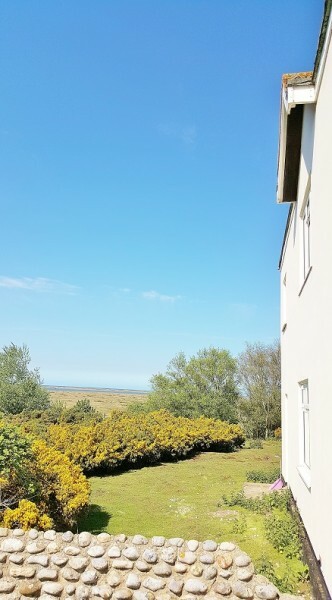 Sleeping 6 in three bedrooms with two bathrooms, plenty of off road parking and private heathland the accommodation at North Down House is spacious and very comfortable. 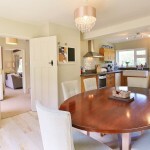 This unique house has an absolutely gorgeous interior design certainly living up to the properties awe inspiring location. 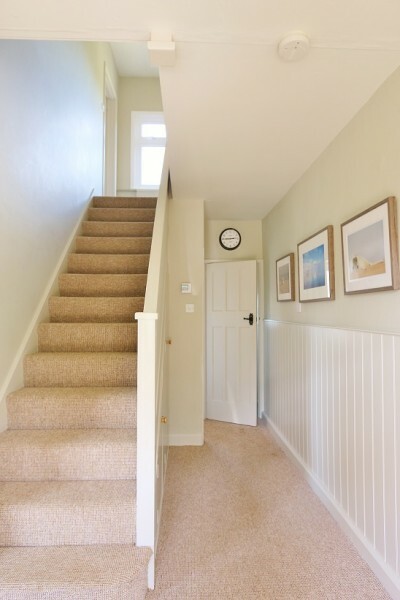 One enters the property through the porch which has plenty of hooks, an ideal spot for keeping boots and jackets, in to the large hallway. 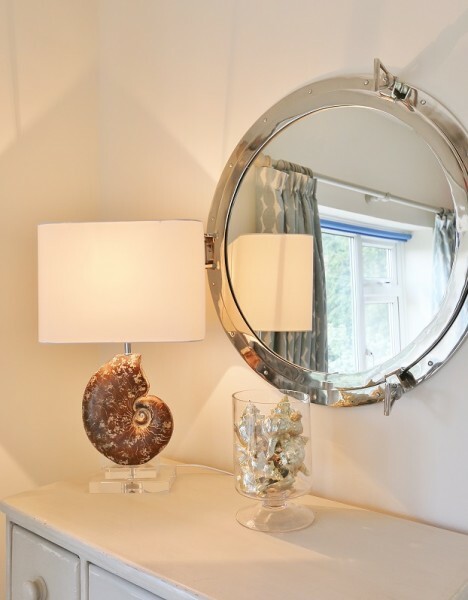 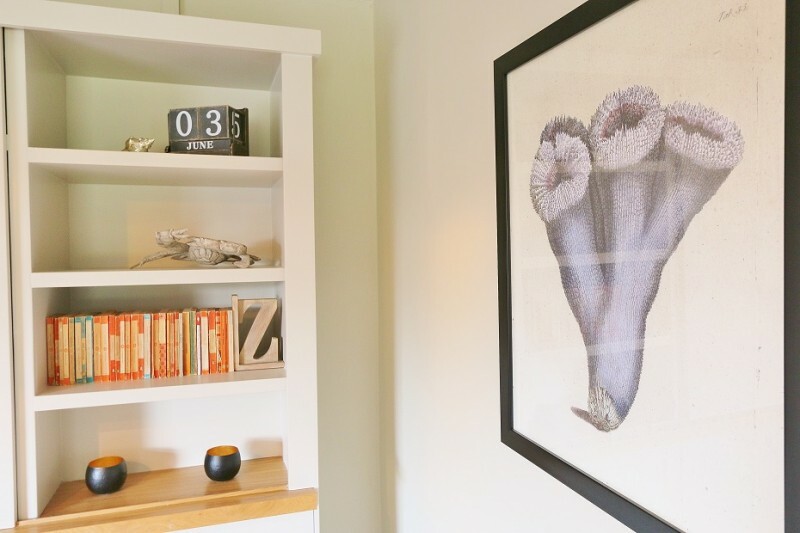 To the left is the beautifully furnished sitting room; decorated in a gorgeous coastal theme, with stunning large coral prints, lobster cushion covers, painted shells and a lovely ornamental crab made of wood… this truly is a room one instantly feels at home in. 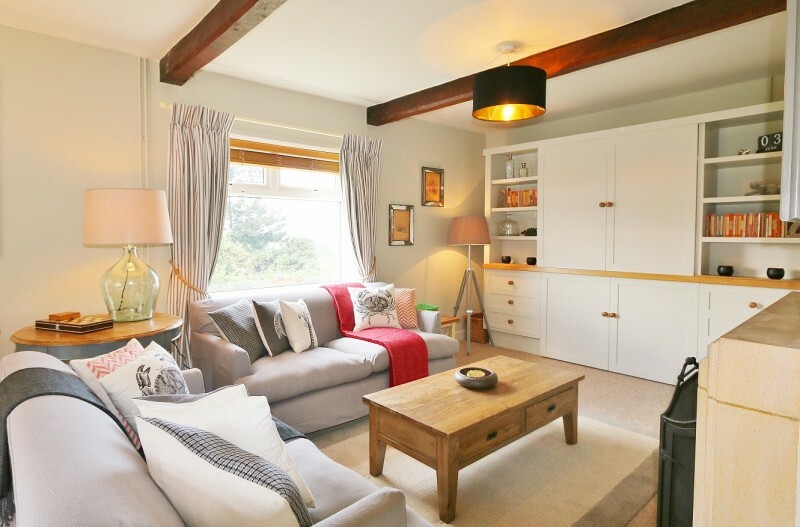 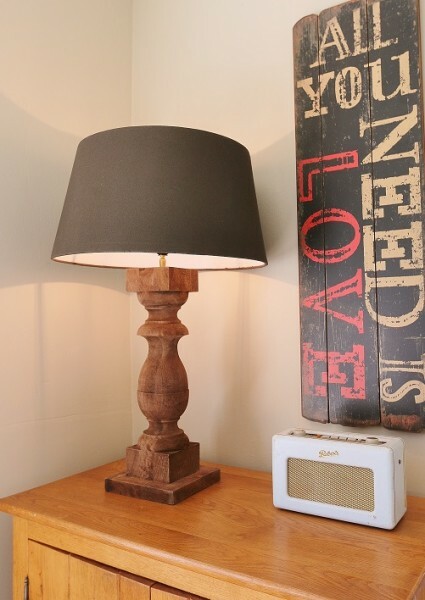 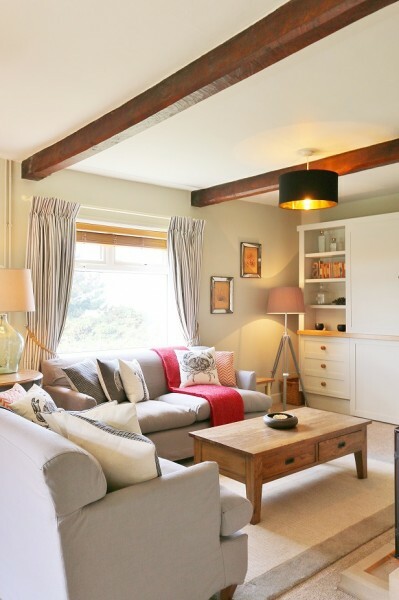 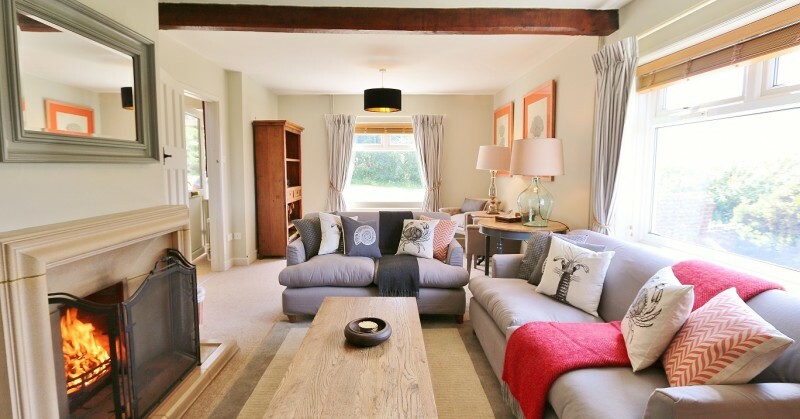 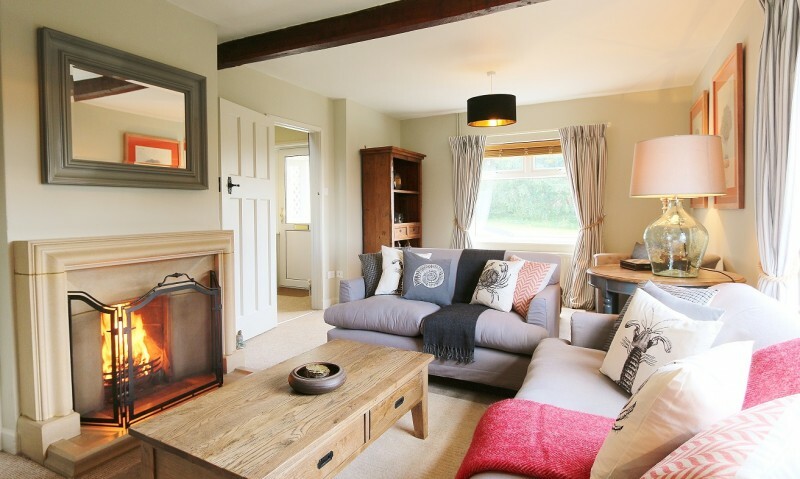 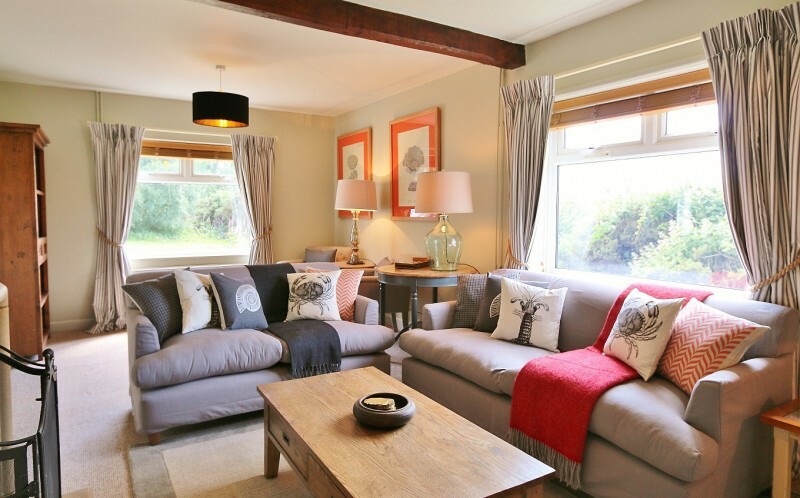 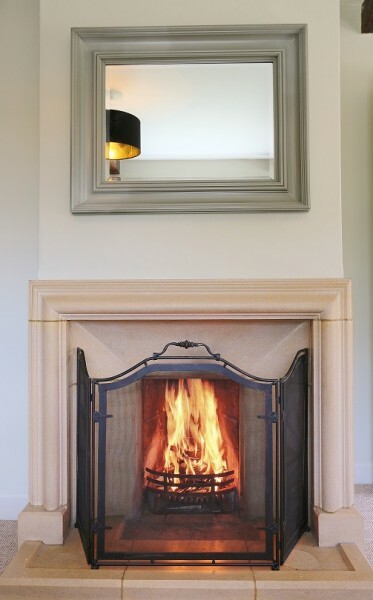 It can be wonderfully cosy on a winters evening, snuggled up on the comfy sofas with the fire roaring away and a bottle of wine after a bracing walk on the coastal path… equally it can feel lovely, light and bright on summers days with the windows thrown open to the magnificent views. 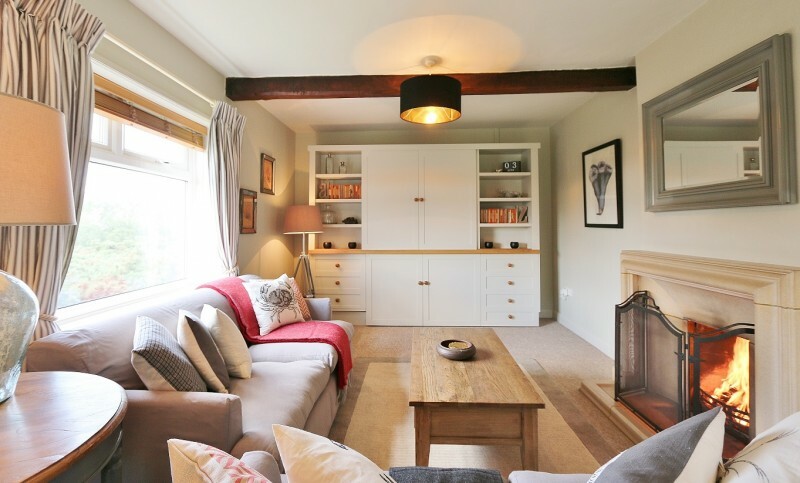 The two sofas are positioned around the spectacular fire place and the large LED TV which has FreeSat and is cleverly hidden away in a large custom made cabinet/bookcase. 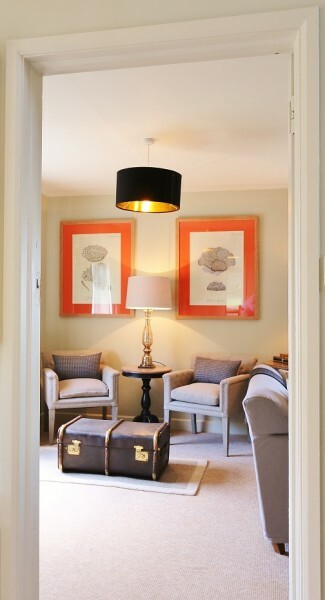 Behind the sofa, to the front of the house, are two arm chairs sitting in front a gorgeous antique travel case that is being used as a coffee table, a great set up for playing board games! 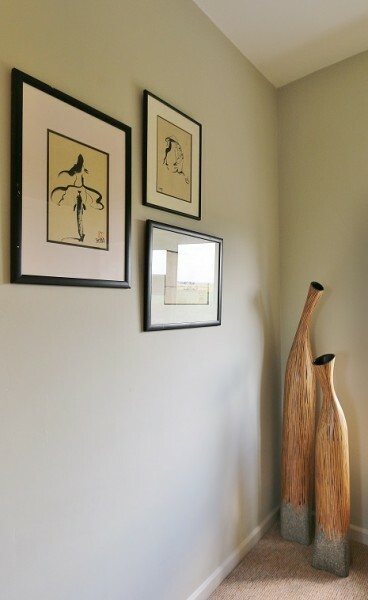 Off the hallway to the right is the large kitchen/dining room. 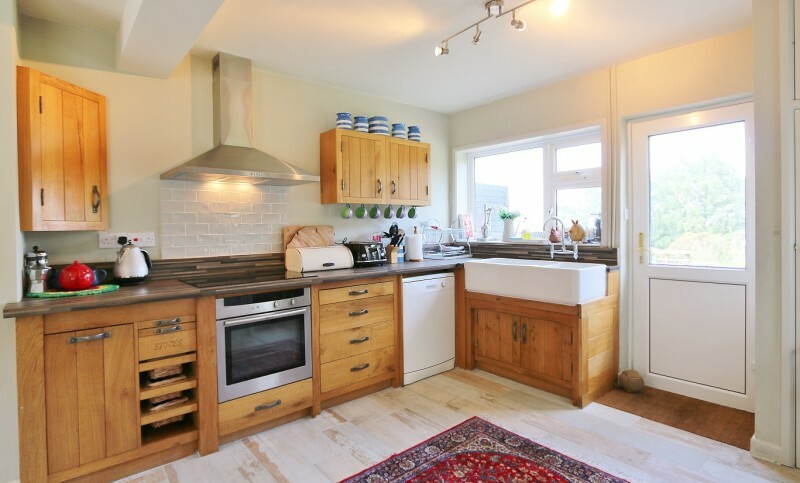 The handmade farmhouse kitchen cabinets and fantastic double Belfast sink are lovely features and the cooking area is as well equipped as could be! 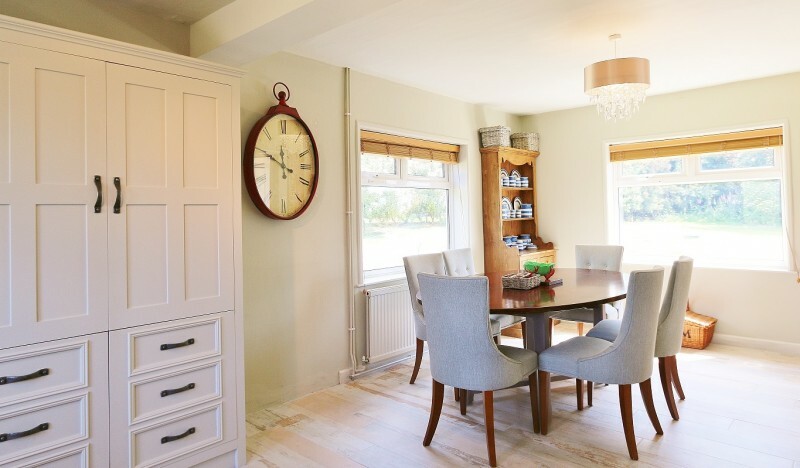 There is a Miele electric fan oven and halogen hob, a full size dishwasher and a large fridge and freezer which is, like the TV, cleverly hidden away in a purpose built cabinet. 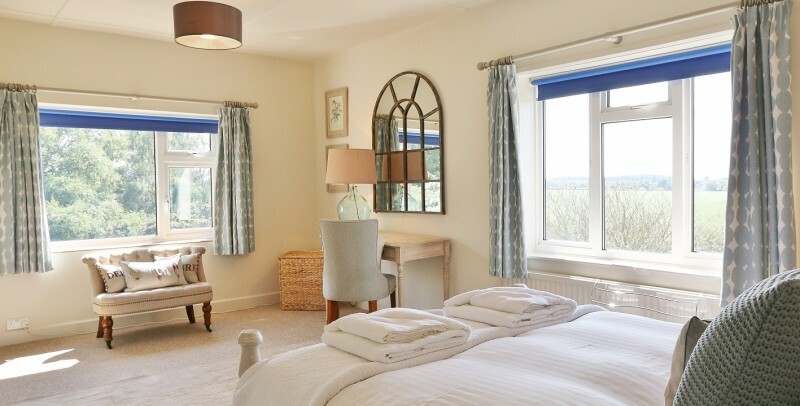 For coffee lovers there is both a cafetierre and percolator and the whole room is dressed with lovely blue and white Cornishware crockery, adding to the coastal feel throughout the house. 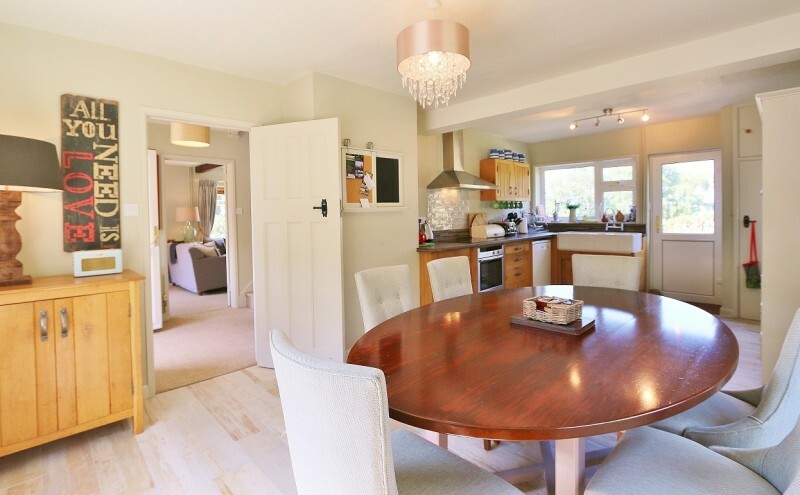 The dining table is large and can seat 6 very comfortably on the comfortable dining chairs. 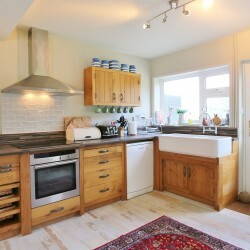 As with almost every room in North Down House the kitchen has wonderful views of the North Norfolk coastline. 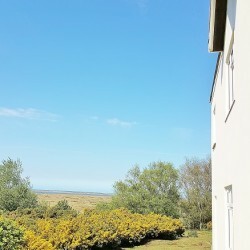 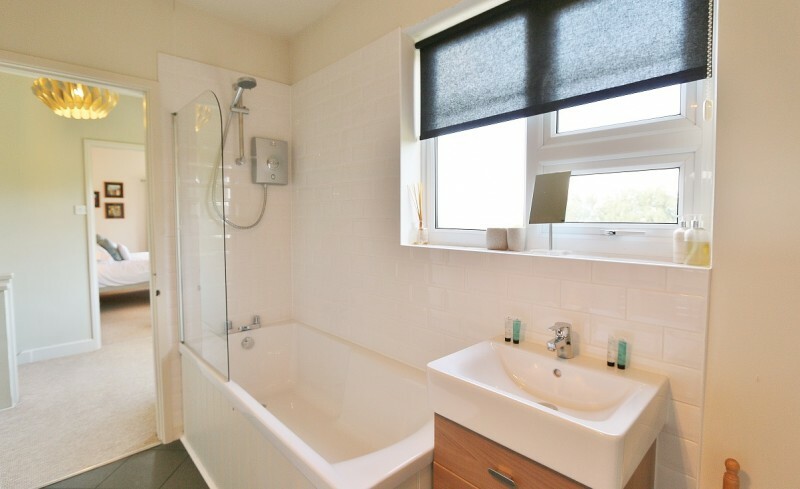 Also on the ground floor is a shower room with separate WC and there is also an outhouse in which are the washer/drier and another large fridge freezer… handy of you need to grab something cold and refreshing mid BBQ!! 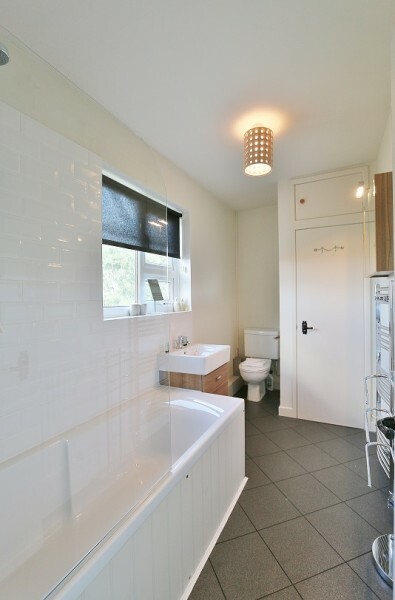 Upstairs are the 3 bedrooms and another bathroom, all off the large landing. 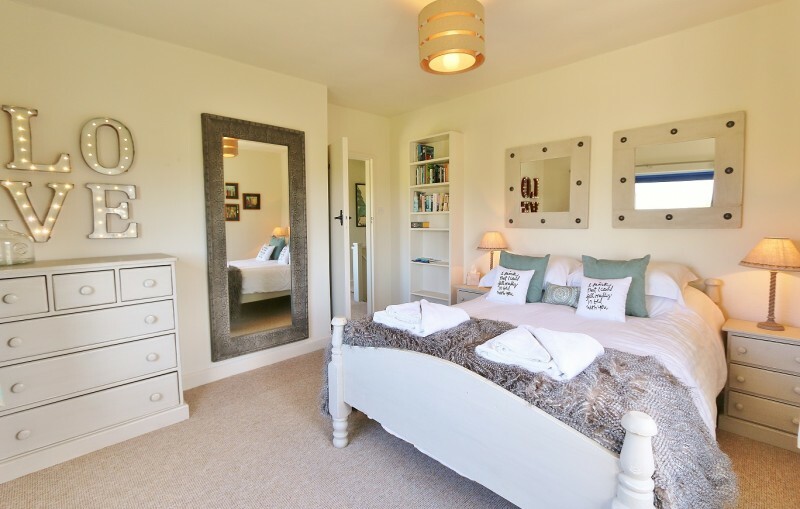 The double bedroom at the back of the house is stylishly finished and furnished and has quite breathtaking views of the coast. 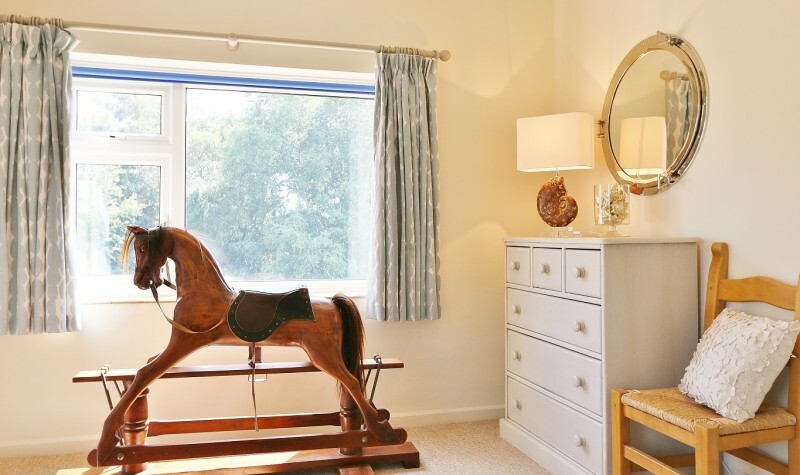 At the front of the house is the large twin room which has plenty of storage and a gorgeous old rocking horse… please take care if you decide to use him as he is quite old and rather valuable! 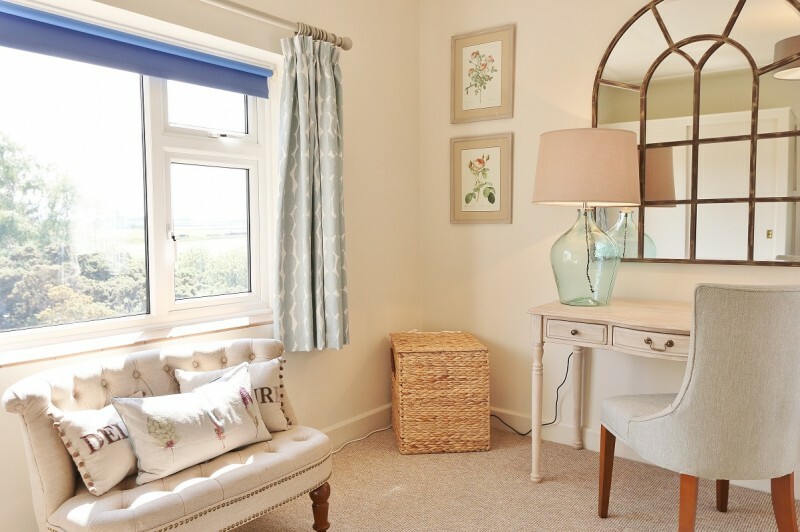 There is also a large double bedroom, again with plenty of storage and a lovely dressing table area with a pretty little love seat. 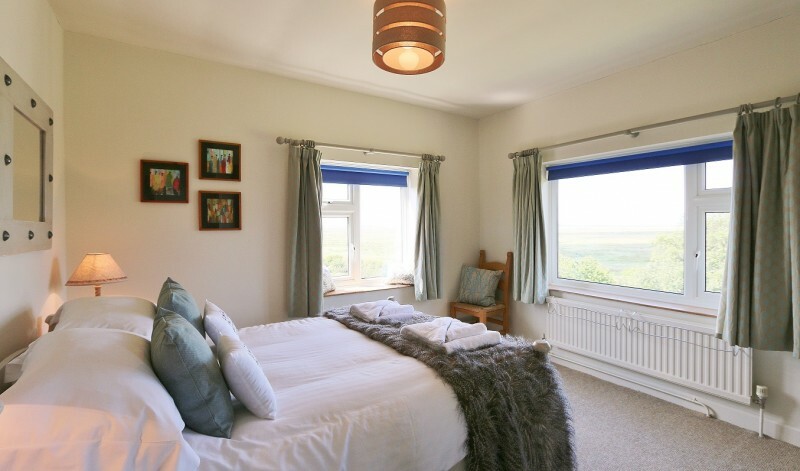 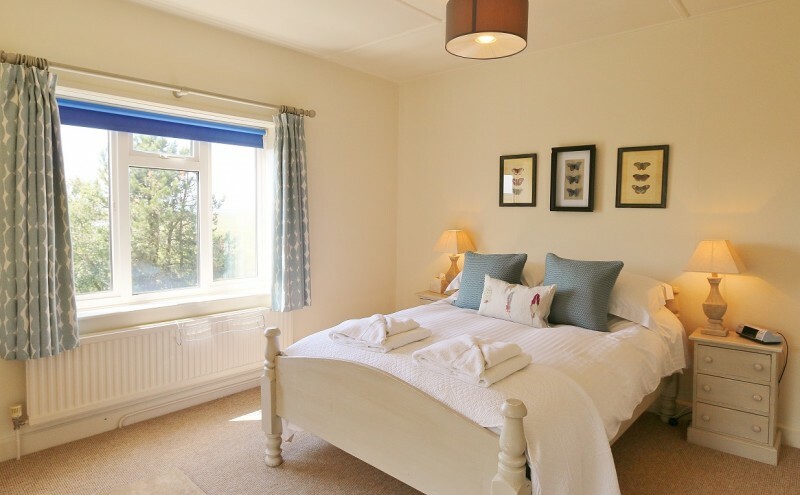 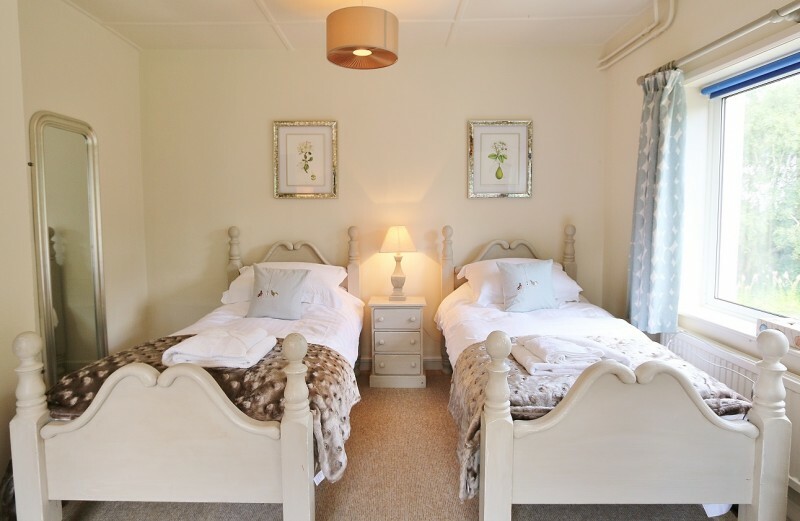 This room has views of the coastline and also really nice rural views over the fields to Morston Village. 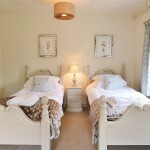 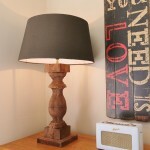 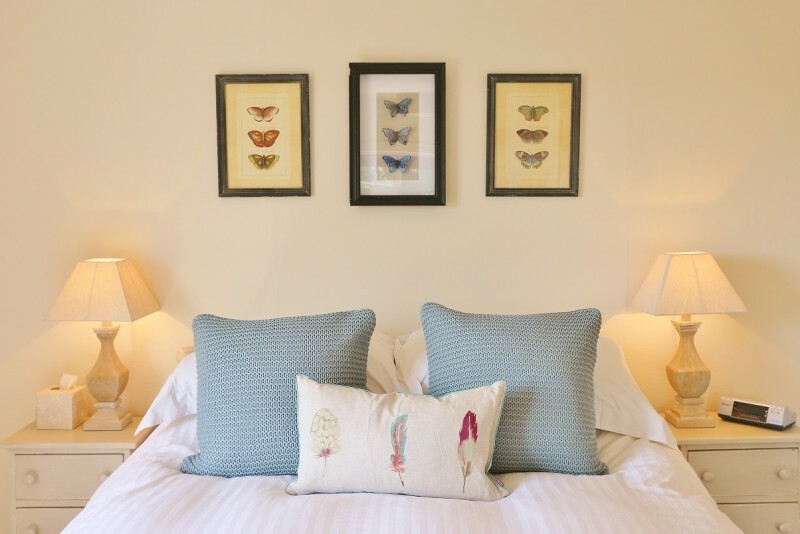 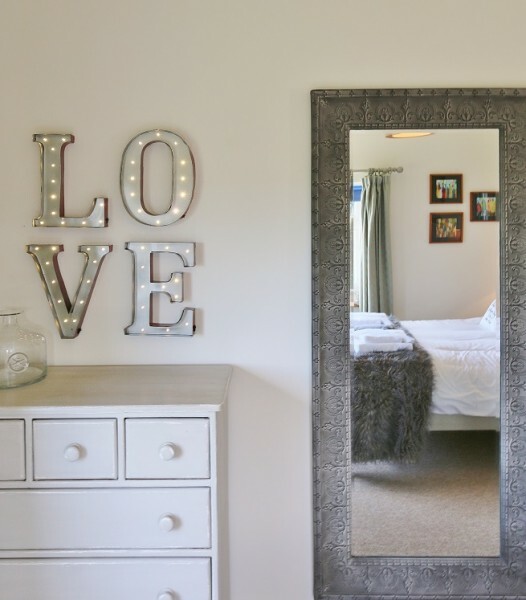 All of the bedrooms have double aspects making them lovely, light and airy. 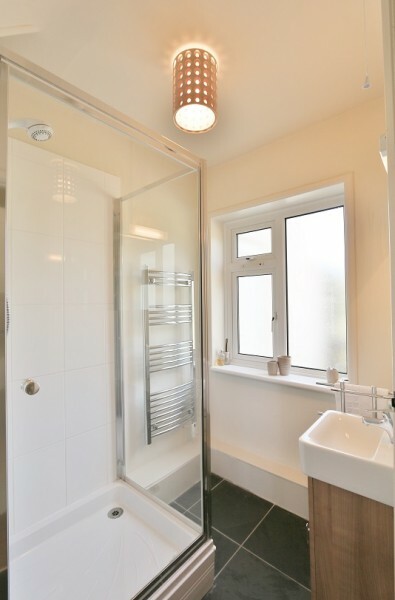 There is also a good sized bathroom upstairs with a shower above the bath. 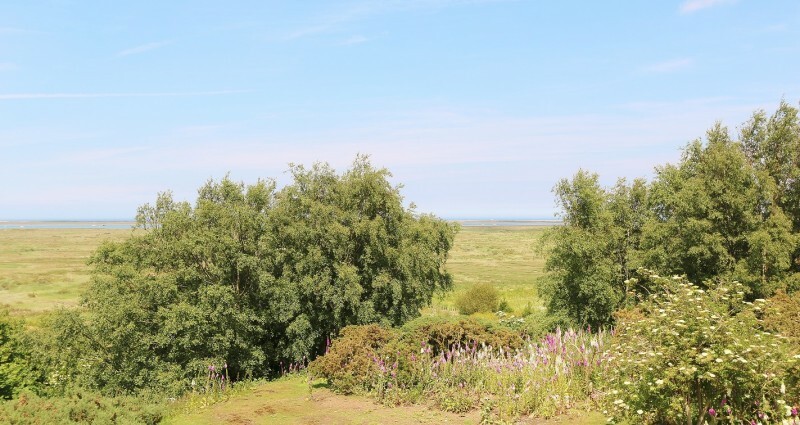 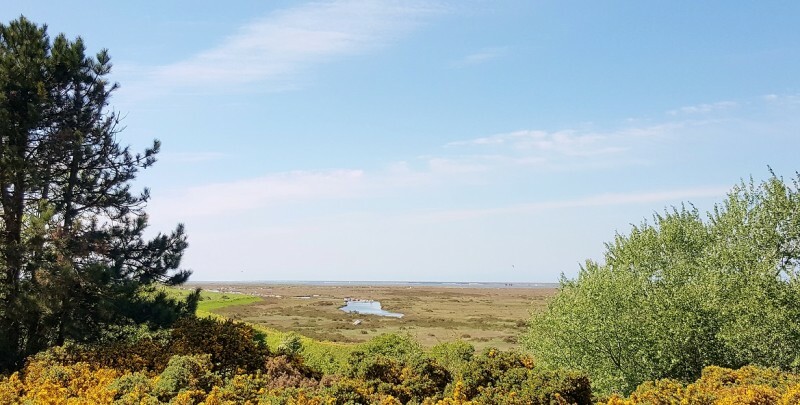 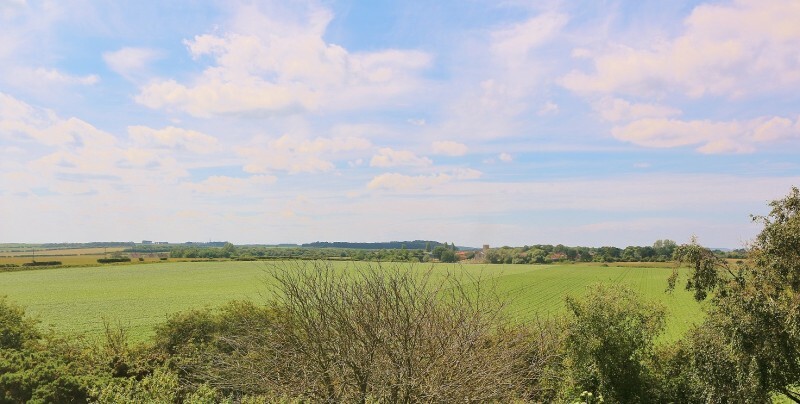 North Down House sits, nestled on its perch above the villages of Blakeney and Morston and the ‘Designated Area of Outstanding Natural Beauty’ that is this stretch of North Norfolk coast, in what we believe is an absolutely unrivalled location. 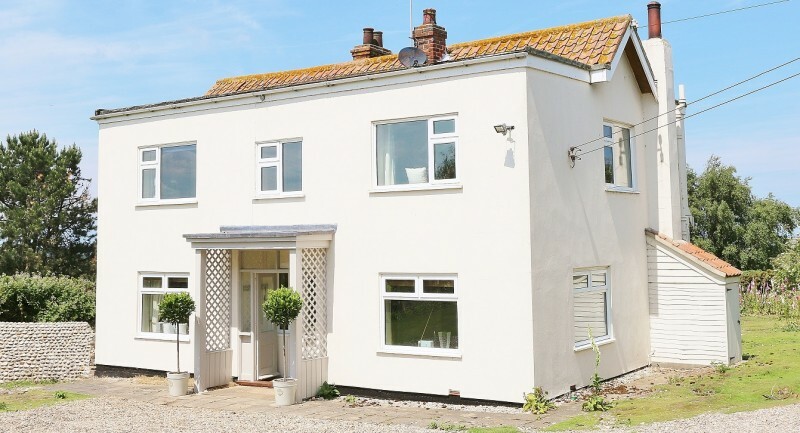 This house may look quirky on the outside having been extended numerous times over the years but internally it has a stylishly finished interior. 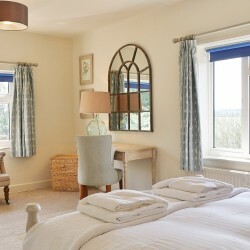 Its location and views at North Down are unrivalled and make it a truly special place to stay! 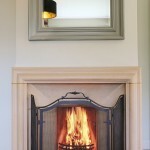 Due to the demand we highly recommend booking early for North Down House. 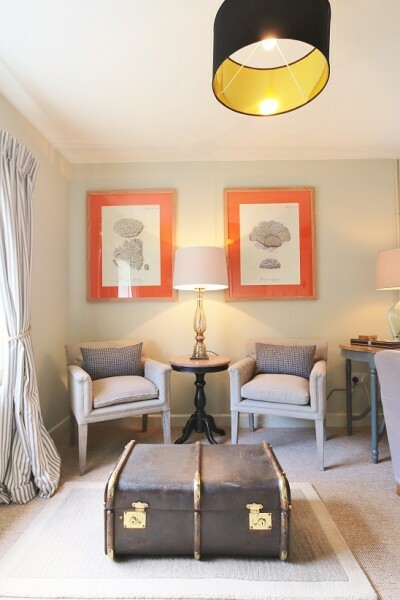 *Click on the picture to bring up the gallery and then click again to scroll through.